I'm not an active type of person; couch potato, you may call me. No regular exercise regimen, no strenuous activities. Certainly, no outdoor adventures. For years, I've been like this. Boring, right? :D Recently however, I've decided to go out, to come out of my comfort zone; to join a group of friends on a day-hike adventure to Mt. Manalmon. Mt. 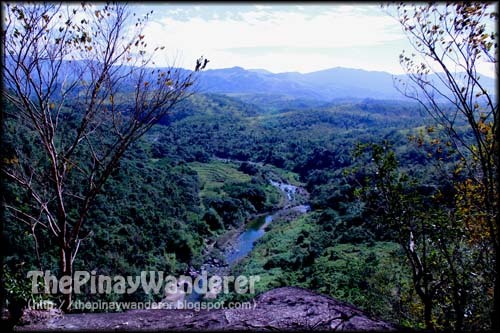 Manalmon is a relatively small mountain (196 MASL) in Barangay Sibul, San Miguel, Bulacan. Actually, for our experienced mountaineer companions, this mountain seemed more of a hill than a mountain. 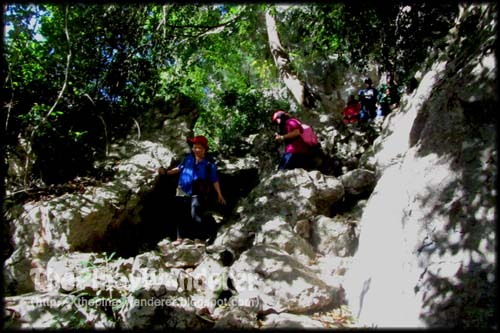 It is part of the Biak na Bato National Park, a historical site because of it's significance to the Katipuneros during the revolutionary times. Instead of commuting, we rented a van going to Bulacan because we thought it would be easier for us. Anyway, there is only a small difference in terms of transportation cost, whether we commute (take a bus) or we rent a van. We left Manila at around 6am and reached Barangay Sibul (after several wrong turns) by 8am. Thanks to the guide that we passed by the road who told us the right way to Mt. Manalmon base camp. 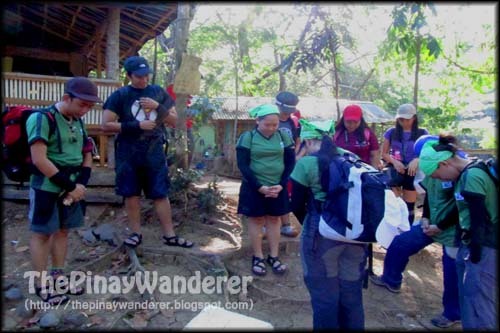 When we got there, we registered at the Sitio Madlum Community Center and after a few minutes of rest and after some picture taking, we started our climb to Mt. Manalmon. The trail to Mt. 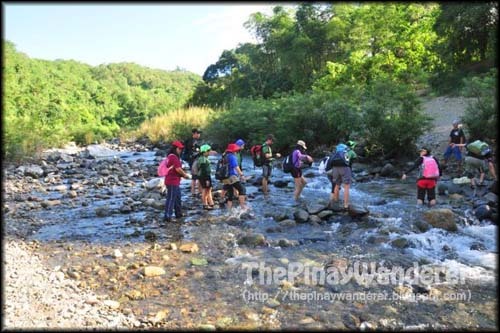 Manalmon is considered an easy one by experienced mountaineers. 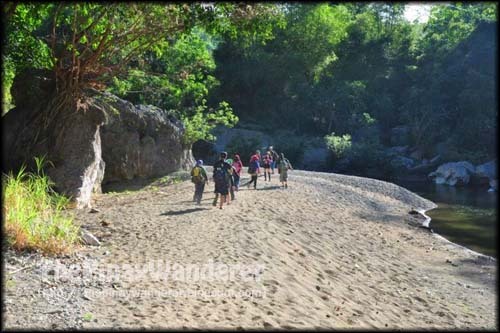 It started with an uphill trek that will lead to the Madlum Cave (also called Manalmon Cave), a relatively small cave which will bring you to a rocky slope down to the beach-like side of the Madlum River. 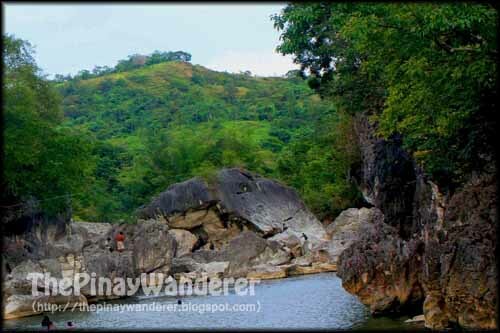 According to our guide, Madlum Cave and the perimeter hill was the filming location of Mulawin, a drama series of GMA7 from way back. 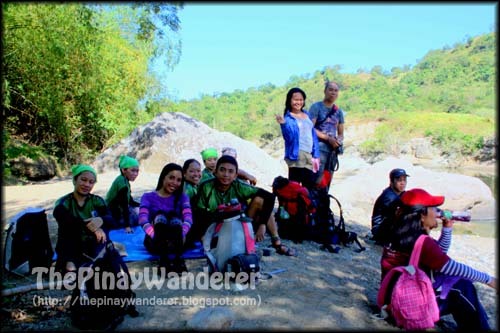 After enjoying the view of the summit, chasing and playing and climbing the trees, more picture takings and some rest, we decided to start our descend and just have our lunch at the Madlum riverbank at the foot of the mountain. 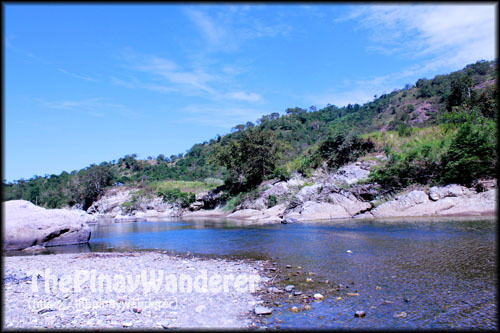 We stayed a bit longer here, resting under the canopy of trees along the riverbank, dipping our tired feet on the clear and somewhat languid Madlum river, inhaling the fresh and cold mountain breeze, and just enjoying the peaceful and relaxing view around us. Ahh..., it's good to once in a while commune with nature, to appreciate the simplicity of life, to forget, at least for a while, the chaos and confusion that the city life brings. Thanks to the Thunders Mountaineers for allowing us to join their adventure, thank you for the wonderful experience. 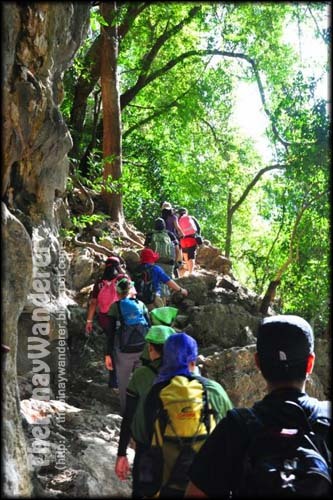 Looking forward to more happy treks ahead, but no extreme side trips (like Spelunking at Bayukbok Cave) please...hehe! Credits to my friends Mobius & Aimee, for some of the photos used here, thanks very much. Such a wonderful experience! 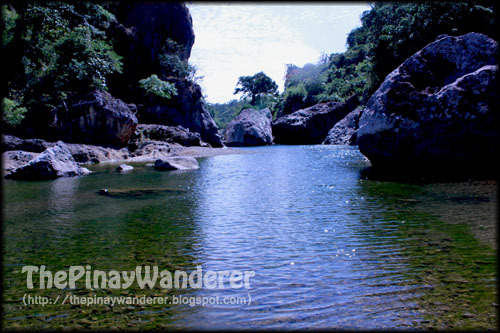 sarap siguro mag picnick dyan sa Madlum river! Awesome photos of a river. May ganyan pala sa Bulacan. Never heard of that river eh. Btw, thanks for dropping by. Cheers! that's unforgettable experienced, like the river photos...hope u can visit my blog too. thanks for the follow; followed you back. WOW, I found my mate. Awesome pics, u surely have this gift of photography. 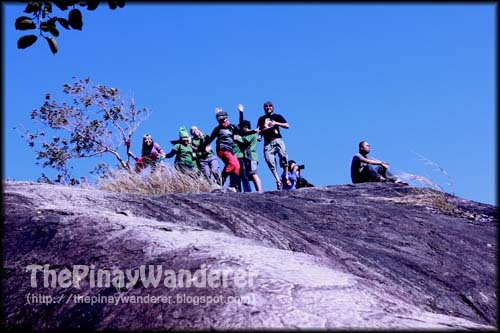 Sand dunes, white rock formation, pagudpud beaches , the heritage paoay church, and so forth. Hi Sherene! Thank you but I'm just a trying-hard photographer, am uploading here the best photos that I got, but actually I have trash photos too, a lot actually..hehe! Haven't been to Ilocos Norte yet but am planning to go there this year, I want to see Bangui windmill and Paoay church and other beautiful places there. i hope ma-meet kita along the trail or sa travel mo..